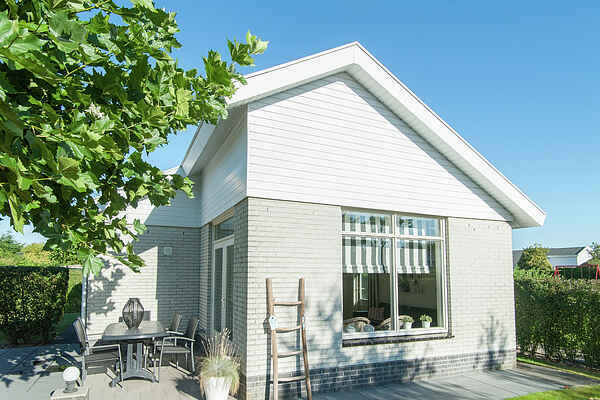 All detached accommodations in this car-free holiday park are well maintained and equipped with all the modern conveniences, such as dishwashers and wireless internet (for a fee). There are a variety of accommodations to choose from, including the 4-person Den type (NL-2204-04) and the 6-person Grasduin type (NL-2204-11). Both bungalows are very neatly furnished. The 6-person Cypress type (NL-2204-10) is a very comfortably furnished accommodation. The high ceiling and open fireplace give it a wonderfully spacious yet cosy feel. The 7-person Larix type (NL-2204-25) is the only two-storey variant. One of the upper bedrooms has a balcony. No matter which type suits you best, you will always have a generous garden and terrace complete with garden furniture.